couldn't help myself, here's a pic taken yesterday of my gorgeous middle child veronica (she gets her good looks from her mother!) 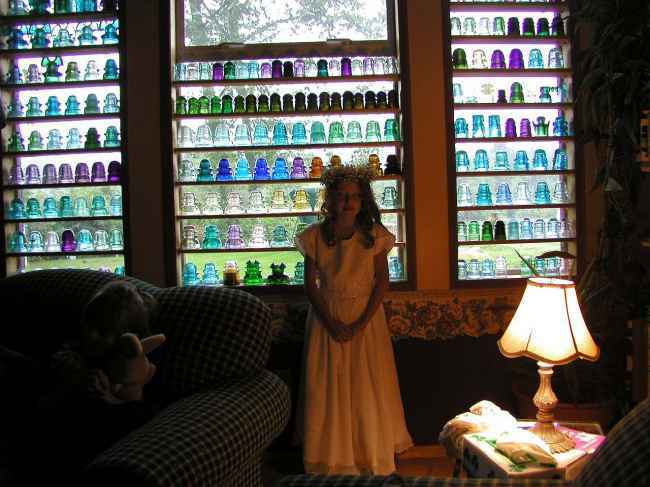 ready to go to her first communion, and she wanted me to take a pic of her in front of the insulators!! for the first time i ever noticed the beauty of the glass seems to pale with her standing amongst them...man it all happens way too fast don't you think?